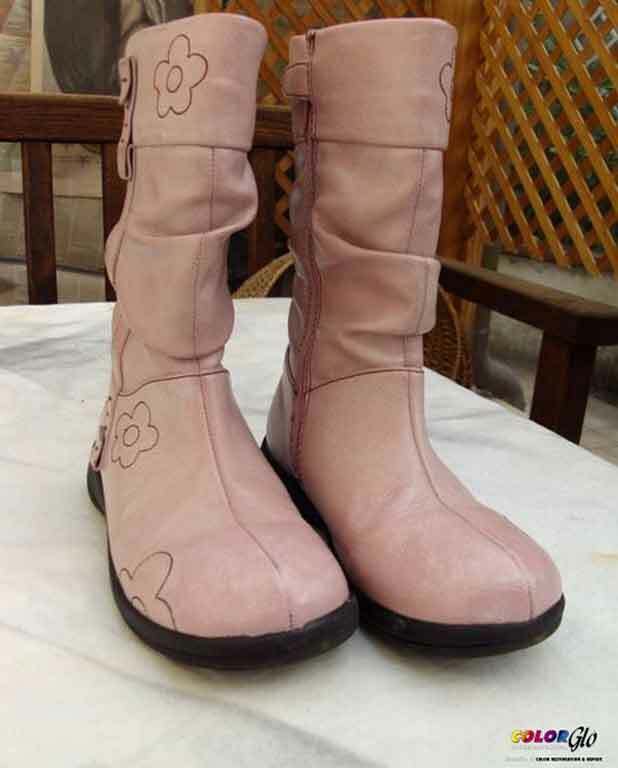 These boots look like they’ve been put to good use. Notice the discolored patches and faded color. 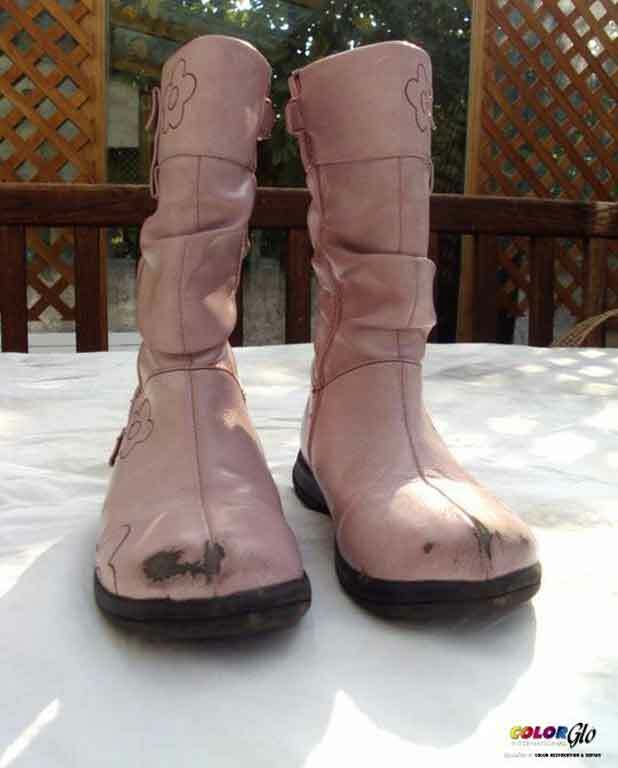 Color Glo’s restoration kit saves the day for these beautiful pair of boots. The patches have been taken care of the boots have received a color infusion.